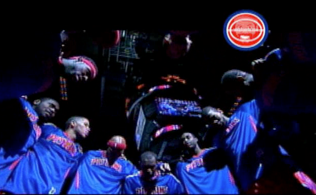 It’s been quite a long time, in fact since February 24 of 2006 since the #Pistons beat the Bulls in Chicago. The 92-72 victory put the Pistons at 500 ball since early in November when they were 2-2. Brandon Jennings led the way with a season high 33 points, five assists, and two steals in 41:55 on the floor. Jennings was hot from downtown knocking down 5-of-8, the last a glasser reminiscent of Sheed. Jennings outscored the entire starting lineup 33-32. The Pistons took advantage of a broken down Bulls team that didn’t have Deng, Butler, Mike James and as we know Derrick Rose. Just three Pistons in double figures. Detroit led by as much 19, but it was a tie game at the half. 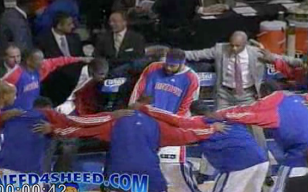 The Pistons pulled away in the third quarter allowing only nine for Chicago while scoring 24. Rodney Stuckey left the game with a knee injury in the second quarter after a collision with Mike Dunleavy and didn’t return. No word yet on his status. Does Josh Harrellson remind any of you (who can remember) Bill Laimbeer? The hop he takes when shooting a three looks just like Laimbeer. All he needs to do now is develop a nice right hook. Harrellson finished with 10 points, five boards, two assists and three blocked shots in just 12:56 on the floor. Josh has played himself into this rotation. The Pistons big three didn’t score in bundles combining for just 22, but their work on the defensive end won this game. I don’t care if the Bulls were injury plagued, anytime the Pistons beat Chicago is a good day in Detroit. Singler keeps hitting his shots, which is good considering we don’t know the status of Rodney Stuckey. Kyle was 4-of05 for 12 points in 22 minutes. 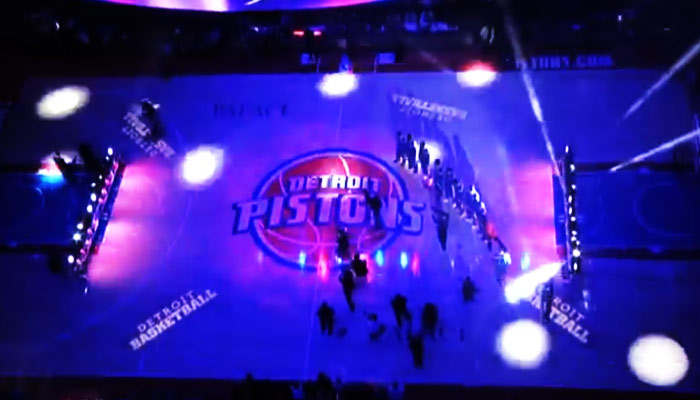 Turnovers are still an issue, Pistons with 18 on the night. Grabbing boards were Smith with 10, Monroe with 12 and Drummond with 14. If the Pistons can beat the Heat at home Sunday for the second time in a week, they have truly turned the corner. 3 Responses to "Pistons Top The Bulls In Chicago"
In order for the Pistons to extend their winning streak, JSmoove needs to get his act together. He is below his career average for FG%,3 pt%, and rebounds even though his minutes are just as much as last year. If he does not improve his play soon don`t be surprised if Singler gets more playing time since Kyle is playing very well lately.